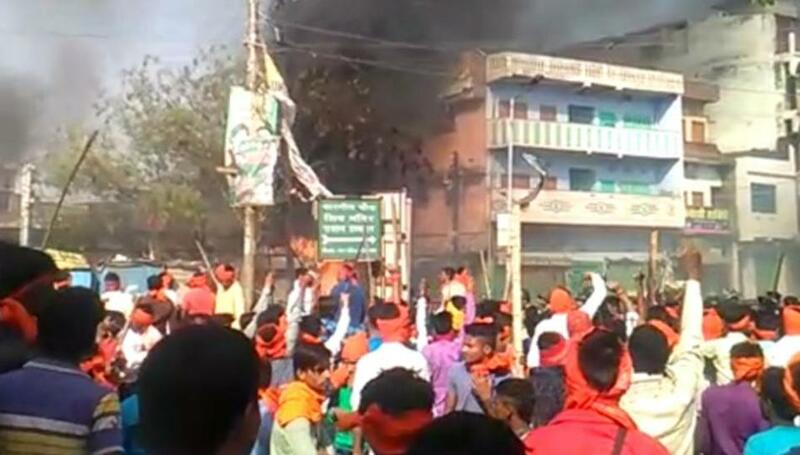 'Ram Navami' violence, Samastipur, Bihar. The trouble started at Rosera in Samastipur district on March 27 as hundreds of people gathered around a mosque at the local Gudri Bazar demanding instant punishment for an unknown man who had allegedly thrown a flip-flop at a Ram Navami procession on March 26. The mob entered the mosque and set parts of it on fire. The unruly mob ransacked the mosque and waved the tri-colour along with saffron flags at the religious place. The rioters also torched a nearby madrasa and destroyed the religious scriptures.